Yeti Cycles shouldn’t be around today. Their bikes have won best mountain bike of the year, professional competitions, and they built a brand that people LOVE. Plus, their results are impressive. 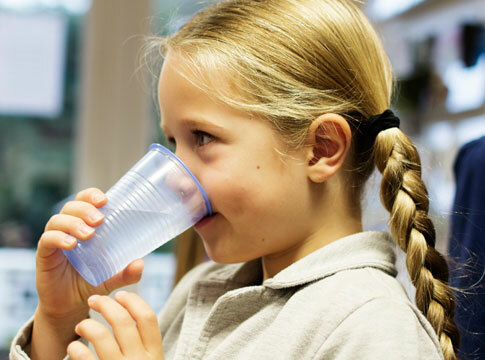 They’ve grown revenue 30% every year for five years in a row! I wanted to know how they did it, so I invited Chris Conry, the co-founder of Yeti Cycles, to share his story. Jeff Lenosky: Great mountain bike videos I enjoy on YouTube. Check out his channel. Seth’s Bike Hacks: Growing a 600k YouTube Channel: My video with Seth from the popular mountain biking YouTube channel Seth’s Bike Hacks. We talk about how he grew his channel, plus more. Yeti Switch Infinity suspension system: The suspension technology that Yeti invented. This was the successor to Switch, which came out in 2011. Yeti Tribe: Yeti Cycles gatherings around the U.S. and the world. A string of riverside communities greets the wild and oh-so-scenic McKenzie River as it drains down from the Cascade Mountains and tumbles west toward Eugene. Easy to reach along the McKenzie River Highway (OR-126), they’re your gateway to this river valley’s incomparable natural attractions. Lane Transit District will even handle the driving, with bus service from Eugene to McKenzie Bridge. The McKenzie River Highway heads west from Eugene-Springfield, first crossing its namesake river at Hendricks Bridge Park near Walterville. One of many public access spots along the river, the park has a grassy picnic area and a busy boat launch. The cold and clear McKenzie has long been an angler’s favorite. The McKenzie drift boat originated here, a dory specifically designed to navigate the river’s current in search of summer steelhead and spring chinook. Many area guides work the McKenzie in one of these time-tested boats. The McKenzie River Guides Association, based in Walterville, provides a list of qualified guides and outfitters. The organization has been active in river conservation since the 1930s. The McKenzie River Highway never strays far from the river east of Walterville. The state heavily stocks this stretch of the river with fish, so it’s particularly popular for trout fishing. (Healthy wild trout populations reside in the river’s upper reaches and downstream of Hendricks Bridge.) 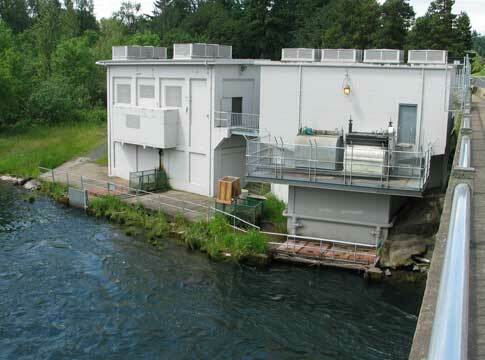 The Leaburg Hatchery raises more than a million rainbow trout and steelhead every year. Visitors can view and feed a variety of fish in the facility’s landscaped show ponds and watch spawning chinook from a viewing platform in the fall. Two miles east, the Goodpasture Covered Bridge stretches 165 feet across the river; it’s the second-longest covered bridge in the state. Built in 1938, the cheery white structure is made extra charming by a row of 10 louvered and arched windows. The river grows more rambunctious a few miles upstream near Vida, where it tumbles through the Class III Marten Rapids near Ben & Kay Dorris County Park. Local rafting companies like Helfrich River Outfitter and High Country Expeditions offer a variety of trips, from mellow to exciting, on the Upper and Lower McKenzie. Many area lodgings put you close enough to hear the splash of the rapids. East of Vida, 5 acres of gardens surround the lovely Eagle Rock Lodge, with 400 feet of river frontage for expansive views. Also near Vida, the Wayfarer Resort’s 13 cabins sit along the waters of the McKenzie River and Marten Creek. 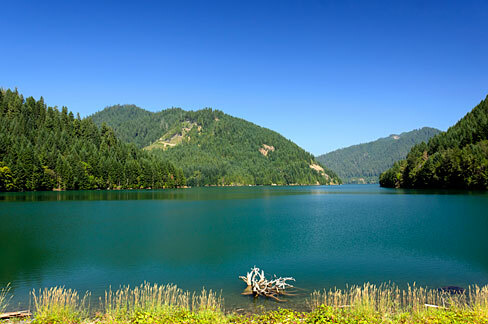 Along with the McKenzie River (which is also very blue), Blue River offers access to the calmer waters of Blue River Lake and Cougar Reservoir. Follow Forest Road 19 to the northwest corner of Cougar Reservoir, where a short hike leads to the steaming pools of Terwilliger Hot Springs, or Cougar Hot Springs. FR-19 is also known as Aufderheide Scenic Drive, leading south past the Three Sisters Wilderness. 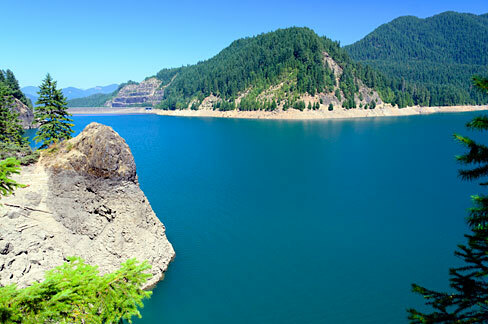 It’s part of the West Cascades Scenic Byway. If you’re impressed with the majesty of the Pacific Northwest’s old-growth forests in the region — and who wouldn’t be? — treat yourself to an even more astounding view. Using rock-climbing equipment, certified guides at the Pacific Tree Climbing Institute in Blue River will guide you up into the canopy of a 280-foot Douglas fir in the H.J. Andrews Experimental Forest. McKenzie Bridge takes its name from the Belknap Covered Bridge, which spans the river near Rainbow. Hikers and bikers know the community as the southern trailhead of the McKenzie River National Recreation Trail, a 26-mile route that parallels the Upper McKenzie as it tumbles through lava flows and over waterfalls. Mountain bikers consider it one of the top rides in the country; Cog Wild runs shuttles to simplify logistics for the adventure, usually ridden one way, north to south. 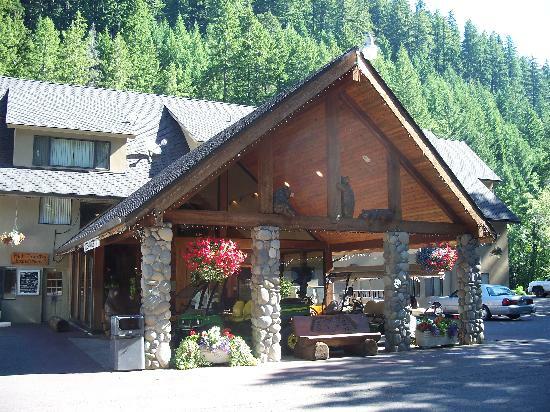 Horse Creek Lodge & Outfitters rents bikes for this excursion and also offers a shuttle service. Hikers can make several different loop hikes off the main trail, including one that visits Sahalie and Koosah falls. If you want to just kick back and watch the river flow, book a quaint riverside cottage at the Caddisfly Resort. 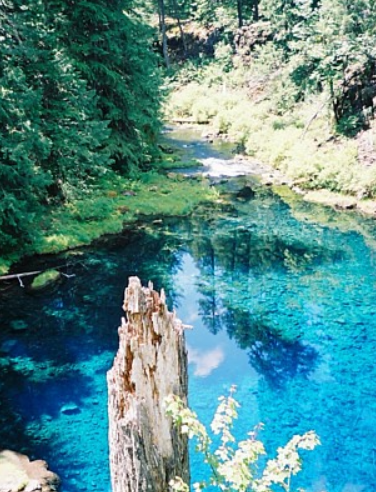 The McKenzie River Ranger Station has maps and information to help plan your adventure. Whether Biking, Walking or Running – this is one of the most spectacular trails to travel. Through lush 300 year old old growth forrests and lava feilds, along side lakes so clean you can see over a100 feet to the bottom! Traverse handmade log bridges over the multiple streams and rivers that join to make up the majestic McKenzie River. Follow the river as it abruptly stops and dissapears into a lava flow and mysteriously starts again some distance later – seemingly out of nowehere. Stop and wonder how the Tomolich pool could be such a vibrant topaz blue. Continue down the trail following a wild mountain river and her many large and small waterfalls. Once you’ve spent some time here, its easy to see why Bike Magazine and her readers gave the McKenzie River Trail its prized #1 spot for best trails in America.